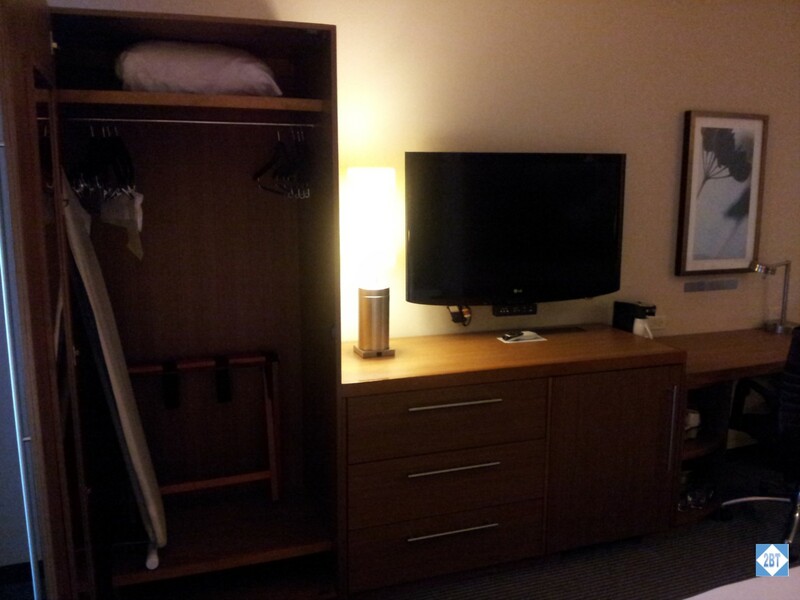 A flat-screen TV was across from the beds though we didn’t turn it on. A wardrobe was provided for hanging clothes and there were a few drawers available if needed. 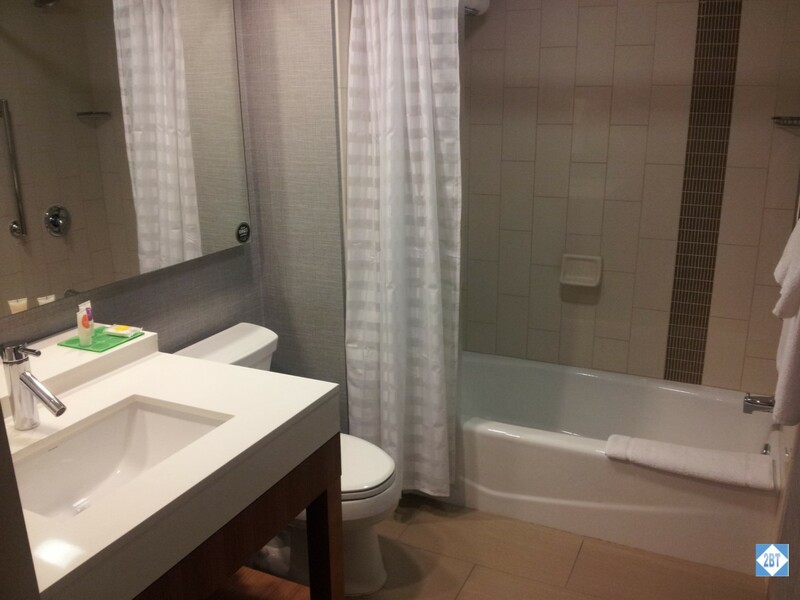 The bathroom had a sliding opaque glass door and plenty of light. The vanity was tall, which we liked, and had room for our toiletries. The shampoo, conditioner and soap were Barney Kenet brand. 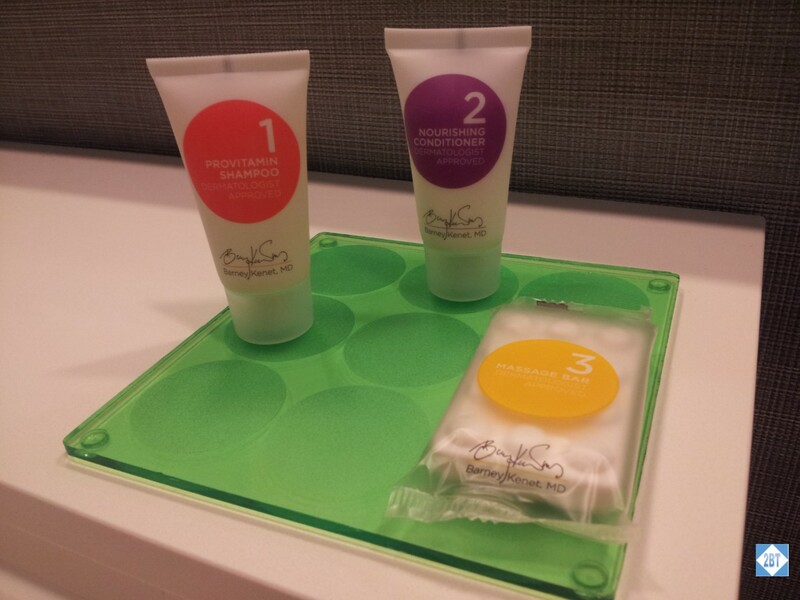 The soap was a small bar instead of a liquid, which seems a little wasteful, especially for folks on a one-night stay. At least with shower gel I can take the rest of it with me. There was a small pool and a workout area available as well as a self-serve laundry. Breakfast was included and had quite a good selection of fruit, pastries, cereal, yogurt, etc. 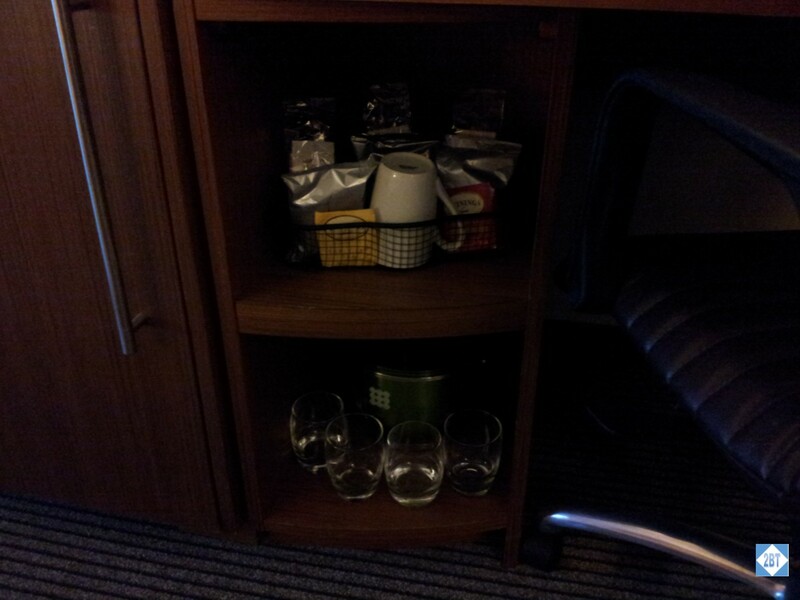 Juice, water and coffee were available as well. There was plenty here to tide me over until lunch. Unfortunately my friend missed breakfast as she had an early flight. But we were so close to the airport that even after returning her rental car she was able to get on an even earlier flight and get home even earlier. While this is not the cheapest option near the airport that offers a shuttle and breakfast, we chose the Hyatt Place because of a Hyatt promotion which awarded bonus points after our first stay. The small upcharge was definitely worth it as we’ll redeem those points for a much more expensive property somewhere in the future. We would definitely be open to staying here again next time we’re in the area. Very nice one. 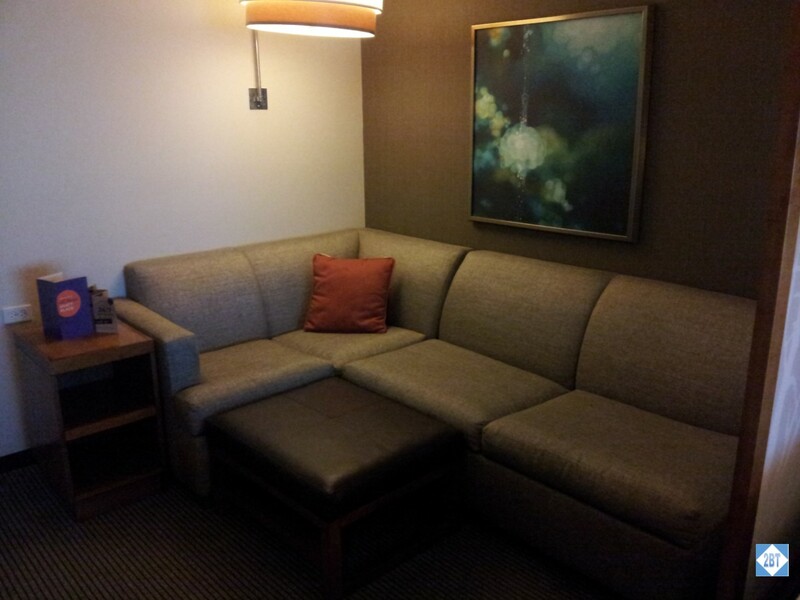 Hyatt Place hotels are usually very nice, especially when they have modern rooms. Not quiet the Park Hyatt standard, but jsut fine! Yes, I like them a lot for paid stays. Plenty of space for 2-3 adults and very consistent in what they offer.